According to the American Cancer Society, in 2014, 224,210 people in the U.S. are expected to be diagnosed with lung cancer, and more than 159,260 will die from the disease. 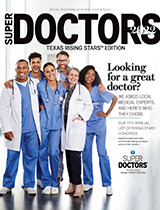 Yet with the aging baby-boomer population colliding with spiral CT-screening's acceptance as a screening tool for lung cancer, the number of cases diagnosed is expected to rise dramatically, says Shervin M. Shirvani, M.D., attending radiation oncologist at Banner MD Anderson Cancer Center in Arizona and an adjunct professor at MD Anderson. "Currently, lung cancer is one of the most common and fatal cancers, and for the foreseeable future it will be one of the major health epidemics our country faces. Yet we don't have strong evidence-based guidelines for how to best treat the disease - especially when it's discovered early," says Shirvani, the study's first author. "In the absence of clinical trials, it was important to analyze observational data from a very large database to compare these three modalities. We wanted to compare lobectomy, the treatment generally thought to be the standard of care, to both the smaller surgery and stereotactic ablative radiotherapy, which does not carry surgical risk, and understand which may be best for this elderly patient population with extensive concurrent illnesses." For the retrospective, population-based study, the researchers analyzed the Surveillance, Epidemiology and End Results (SEER) Medicare database to identify patients treated for non-small cell lung cancer between 2003 and 2009. In total 9,093 patients were identified. All received one of three treatment strategies: lobectomy (7,215 patients, or 79.3 percent); sublobar resection (1,496 patients, or 16.5 percent); and SABR (382 patients, or 4.2 percent). Of note, says Shirvani, is that the study's time-period reflects the earliest adopters of SABR. "The assumption was that for an elderly patient with a number of co-morbidities, the smaller surgery would be better than a whole lobectomy because there would be fewer surgical complications. Yet, it appears that the ability to eradicate the cancer with the bigger surgery may be more important than minimizing surgical risk," he explained. "Clearly, the incidence of early-stage lung cancer will increase dramatically in the next few years, and we need to be prepared to treat patients in the right way - balancing the effectiveness versus risk of treatment in an elderly population," says Smith, the study's corresponding author. "Observational studies like ours give us insight into what the right treatment strategy should be, and hopefully will encourage both physicians and patients that prospective clinical trials are worth pursuing," he continued.